I just feel with the trade down, it opened them up to trade back to get a 5th year option on their next pick, which would make sense for them to do. I do feel like Thompson, Adderly, and Rapp are virtually inter-changable, its just a matter of who fits what teams own taste. I agree. They oddly can go a lot of places yet are really at no risk of falling off in terms of production on either side of the ball. I just went safe with an aging center and losing Saffold. REMAINING FA PROJECTIONS: S Eric Berry to Dallas DT Ndamakung Suh to Seattle or Indy ROUND 1 1. Arizona Cardinals – Kyler Murray QB Oklahoma This seems to be the general consensus. New coach new QB is the usual theme of drafts and this one should be no different. 2. San Francisco 49ers – Quinnen Williams DT Alabama Acquiring Dee Ford made this decision much easier. Buckner and Williams will be a problem on all 3 downs and will create nightmares planning wise considering the complimentary talent on the edges. *TRADE* To NYJ: 4th ovr + 2020 3rd rd pick To OAK: 3rd ovr + 196th ovr 3. Oakland Raiders (from NYJ) – Nick Bosa EDGE Ohio State This pick is going to be highly desired with Bosa getting passed the top 2 picks. The Raiders ensure they get their guy and the Jets are comfortable taking one step back and guaranteeing a guy who may be a better scheme fit. 4. New York Jets (from OAK) – Josh Allen EDGE Kentucky Allen as a 3-4 OLB may prove to be a better fit than Bosa. The decent addition they get in next years draft makes this a real win for the Jets who continue to work on building a defense akin to the level they had just a decade ago. They tried really hard to get Anthony Barr, who Josh McDaniels'ed the crap out of them and I have heard a ton of comparisons between Barr and Allen *TRADE* To TB: 11th ovr + 42nd ovr + 2020 3rd rd pick To CIN: 5th ovr + 145th ovr + 2020 4th rd pick 5. Cincinnati Bengals (from TB) - Dwayne Haskins QB Ohio State New coach, New QB. Might be a shocker but Dalton has proven despite the talent surrounding him, can not take the Bengals to the next level. Granted, he will start the season, his rope will be short as the thought of Haskins/Mixon/Green is supremely more appealing. 6. New York Giants – Rashan Gary DL Michigan Gary can fill 2 possible roles on this defense given his unique skill set and size. BJ and Dalvin Tomlinson make up a good DT/NT combo in the 3-4 scheme, now Gary can come in and play that DE spot and be an immediate interior pass rusher with the potential to be a top level edge rusher. 7. Jacksonville Jaguars – Jawaan Taylor OT Florida The addition of Nick Foles has made protecting the new franchise a must. Cam Robinson will be back from injury and can now move back to his more comfortable role at RT. 8. Detroit Lions – Greedy Williams CB LSU Some think Greedy is overrated. I think he will find his way into the Top 10, especially in the way this draft has shaped up. Detroit bolsters one of the best DL’s in the game with Snacks, Robinson, Hand, and now Flowers. Getting guys on the back end will only assist in giving Matt Patricia the type of defense is used to. 9. Buffalo Bills – Andre Dillard OT Washington State Josh Allen had to run….ALOT. Not by design like Jackson in Baltimore, but by necessity. Dillard is the best pass protector in the draft and immediately upgrades their OL. Dawkins goes to RT. 10. Denver Broncos – Jonah Williams OL Alabama The ability to play both tackles and both guards makes Jonah Williams a cannot miss prospect. He will likely make his money at Guard the way Scherff and Pugh did before him, but in a pinch, he can fill in at tackle and the line will not lose much of a beat. 11. Tampa Bay Buccaneers (from CIN) – Devin White ILB LSU A dream scenario for TB I am sure. A guy they will think long and hard about getting at 5, they trade back and get at 11 along with an extra 2nd rd pick. This makes them players to trade back into the late 1st round to acquire that 5th year contract option on a guy they may really like. *TRADE* To GB: 15th ovr + 96th ovr + 153rd ovr To WAS: 12th ovr + 185th ovr 12. Washington Redskins (from GB) – Drew Lock QB Missouri Much like Cincinnati hedging they bets jumping ahead of NYG for Haskins, Washington will leap in front of Miami to get Lock. When Smith got hurt, they completely fell apart and it showed that this team is probably more in need of a young up and comer than they thought just 1 year ago. *TRADE* To MIA: 17th ovr + 95th ovr + 132nd ovr To NYG: 13th ovr + 116th ovr + 151st ovr 13. New York Giants (from MIA) – Montez Sweat EDGE Mississippi The Giants wait no longer to get a guy they will strongly consider taking at 6. Health issues make them pass at 6 but with Miami being in a position to trade back with the top 3 QBs gone, the Giants draft another insane athlete to bring some much needed threats to what was a relatively lack-luster front 7 performance outside of Hill and Tomlinson last year. 14. Atlanta Falcons – Ed Oliver DT Houston Aaron Donald is the best defensive player in the league but seemingly has not done enough for undersized DT’s with freak athleticism. Grady Jarrett and Ed Oliver in the interior will hopefully create more opportunities for their DE’s, especially the inconsistent Beasley. 15. Green Bay Packers (from WAS) – DK Metcalf WR Ole Miss After suring up their pass rush with two big FA moves, they decide to get a major threat opposite Davante Adams. More opportunities will open for both guys and a AB/JuJu type combo could be the scariest combo with Rodgers at QB. 16. Carolina Panthers – Clelien Ferrell EDGE Clemson Ferrell immediately fills a Day 1 starter position with his top 10 level talent, slipping into the middle of the draft. 17. Miami Dolphins (from NYG via CLE) – Cody Ford OL Oklahoma A unique position for Miami who just signed Fitzpatrick to play QB. After missing the Top3 in this draft, they decide to look to their OL. Ford is much the same as Jonah Williams, he will likely make a career at OG but plugging in at RT may be where it all begins for him like Justin Pugh. 18. Minnesota Vikings – Christian Wilkins DT Clemson In any other draft, Wilkins may be a Top 5 pick, which makes this an easy choice for Minnesota who missed out on resigning Sheldon Richardson. 19. Tennessee Titans – TJ Hockenson TE Iowa Delanie Walker will turn 126 years old this season, so getting a replacement is important. Hockenson would be a Top 10 pick if teams weren’t terrified by how it worked out for teams using Top 10 picks on TE’s lately. 20. Pittsburgh Steelers – Byron Murphy CB Washington After Joe Haden, a stud CB is needed on this defense. They have passable talents but Murphy has the ability to blow people away much like Lattimore and Humphery have done the past 2 seasons. *TRADE* To SEA: 23rd ovr + 161st ovr + 2020 5th rd pick To HOU: 21st ovr 21. Houston Texans (from SEA) – Deandre Baker CB Georgia An older group with little to offer in depth, Baker is a Day 1 starter and takes the pressure off the safeties and the pass rush. 22. Baltimore Ravens – Devin Bush ILB Michigan CJ Mosley is gone, this is one of the easier decisions. They maybe need to trade up to get him when push comes to shove but if he makes it passed 17th overall, I think this is where he ends up. 23. Seattle Seahawks (from HOU) – Brian Burns EDGE Florida State Pete Carroll likes those hybrid OLB/DE type players and Burns fits that mould. He can play OLB and can be let loose on the QB with the best of them when required. 24. Oakland Raiders (from CHI) – Josh Jacobs RB Alabama Fearing he won’t make it to 27, the Raiders pull the trigger to further the creation of one of the better skill player groups. *TRADE* To PHI: 29th ovr + 2020 4th rd pick To KC: 25th ovr + 2020 5th rd pick 25. Kansas City Chiefs (from PHI) – Jachai Polite EDGE Florida After being content to move down, KC jumps up to grab a pass rusher after giving up on both of their starters from a year ago. Polite has some question marks but with the overwhelming talent and how great the coaching staff is, they trust they can make Polite see his potential quickly. 26. Indianapolis Colts – Jeffery Simmons DT Mississippi State They take a flyer on a Top 15 talent who will more than likely sit his rookie year out on IR. Myles Jack and Jaylon Smith are 2 notable players who did that. Indy has so much young talent, this is a move they feel they can afford to make, even if they sign Suh (which is more than likely a 2 year deal max). Signing Justin Houston could stifle that. *TRADE* To OAK: 34th ovr + 89th ovr To IND: 27th ovr + 140th ovr + 218th ovr 27. Indianapolis Colts (from OAK via DAL) – Jonathan Abram S Mississippi State With that said, they are very comfortably moving up and grabbing Simmons teammate Abram to play on the back end. They resigned Geathers, but to suggest that an upgrade would not be needed may be short sighted. I think the Colts are comfortable doing this. Raiders are happy to move back and get an extra pick to make up for their earlier trade up. 28. Los Angeles Chargers – Dexter Lawrence DT Clemson They got flat out bullied by NE in the playoffs in the trenches and this pick will provide some relief for their talented edge rushers. *TRADE* To PHI: 36th ovr + 104th ovr To SF: 29th ovr 29. San Francisco 49ers (from PHI via KC) – Garrett Bradbury OT NC State Joshua Garnett’s shadow may be lurking the background but Bradbury is coming out a much better prospect and can play all 3 interior positions. 30. Green Bay Packers (from NO) – Noah Fant TE Iowa After taking Metcalf earlier, they go for another great athlete at TE. Having legitimate threats at different levels of the passing game will only make Adams and more importantly Rodgers, more effective. *TRADE* To LAR: 39th ovr + 107th ovr + 2020 5th rd pick To TB: 31st ovr 31. Tampa Bay Buccaneers (from LAR) – Deionte Thompson S Alabama After trading down earlier, they use some extra capital to move back into the 1st round and continue to revamp their defense. The Rams are happy to trade back to get some more picks in what will be a light haul for them otherwise. *TRADE* To NE: 33rd ovr + 174th ovr To ARZ: 32nd ovr 32. Arizona Cardinals (from NE) – Marquise Brown WR Oklahoma Cards make a big move to get a 5th year option on their new franchise QB’s teammate. Immediate chemistry and the legendary mentor on the roster, Brown and Murray are primed to be a scary duo for the next decade in the desert. ROUND 2 33. New England Patriots (from ARZ) – Irv Smith Jr. TE Alabama Gronk is a perennial retirement threat. The Pats offense performed on a near unstoppable level when they fielded 2 legit TE threats, so even if Gronk stays, Smith stands to make an immediate impact. 34. Oakland Raiders (from IND via NYJ) – Mack Wilson ILB Alabama Another great talent, this time at the 2nd level. Upgrading the front 7 is always seemingly the MO of teams who are rebuilding their rosters come draft day. 35. Oakland Raiders – Elgton Jenkins OL Mississippi Osemele is gone. Jenkins immediately fills in at guard and can be a long term answer at C if Rodney Hudson finds himself without a contract in the coming seasons. 36. Philadelphia Eagles (from SF) – Dalton Risner OT Kansas State A double trade back and still land a Day 1 starter. Lane Johnson may go to RT but depending on how things shape up in camp, it may not be necessary. With that said, Risner is worst case scenario their Day 1 starter at RT or LG. 37. New York Giants – Kaleb McGary OT Washington After having the most horrendous offensive line just 2 seasons ago, the G-Men look to keep building their offensive line. With Zietler at RG to go with Hernandez at LG, McGary can be Day 1 at RT and be groomed as the eventual LT if Solder can’t figure out how to have a bounce back year after a season riddled with injury and inconsistency. *TRADE* To JAX: 48th ovr + 95th ovr To MIA: 38th ovr + 109th ovr 38. Miami Dolphins (from JAX) – Daniel Jones QB Duke A fairly ideal situation for both teams with this move. Jones may have felt a bit early in the mid-1st round but early 2nd round is a good situation for Miami, who with Fitzmagic, can afford to let Jones sit and learn and not be rushed in, which seems to be where his bust potential comes from. 39. Los Angeles Rams (from TB) – Erik McCoy OL Texas A&M The only question the Rams need to answer is does McCoy play C or RG in Week 1? How the rest of the draft plays out will make that decision more clear but having a piece in place is key to keeping their offense moving forward. 40. Buffalo Bills – Nkeal Harry WR Arizona State The most WR needy team in football pulls the trigger. Helping Josh Allen I feel will be the general theme of Buffalo’s draft class in 2019. 41. Denver Broncos – Rock Ya-Sin CB Temple Guilty of having the greatest name in the history of ever, Ya-Sin will also fill some voids left but the departures of Talib and Roby over the past couple of seasons. 42. Tampa Bay Buccaneers (from CIN) – Jaylon Ferguson EDGE Louisiana Tech Going to a 3-4 defense will likely lead to them parting ways with JPP after just one season, and Ferguson is more of a fit for that 3-4 edge rusher. Yes, I noticed also, TB addressing all 3 levels of their new defense early in this draft. 43. Detroit Lions – Hakeem Butler WR Iowa State Parting ways with Golden Tate was an interesting decision but bringing in a big body with a high ceiling to put opposite the break out Golladay is a need that must be addressed. The question really weighing on Detroit’s mind moving forward is, can Stafford get them to the next level or not? 44. Green Bay Packers – Tre Lemar ILB Clemson Lemar is a hard player to grade and subsequently mock. I think GB’s early haul, makes this pick a little easier, even if it may be seen as a reach to some. Trading down a 2nd time in the first 2 rounds could also be a possibility. 45. Atlanta Falcons – Greg Little OT Ole Miss Little is another player who hurt his draft stock the closer we got to the big day but his talent is hard to deny. At 45, he could prove to be a steal. 46. Washington Redskins – Taylor Rapp S Washington Signing Landon Collins was step in the right direction. Rapp coming in to pair with him transforms the back end of this Skins defense. 47. Carolina Panthers – Nasir Adderley S Delaware When have the Panthers had a true dominant force at Safety? Their secondary has really been a 1 man show for the last half decade with Norman and Jackson being really the only stars. Reid playing as that 8th man in the box, run support safety/moneybacker is more ideal, Adderley lets that occur with more comfort. *TRADE* To JAX: 65th ovr + 103rd ovr + 2020 4th rd pick To ARZ: 48th ovr + 2020 6th rd pick 48. Arizona Cardinals (from JAX via MIA) – Dremont Jones DT Ohio State The Cards continue their very aggressive draft, trading up to acquire another Day 1 starter. Jones talent and potential more importantly is a motivating factor. 49. Cleveland Browns – David Edwards OT Wisconsin After being a juggernaut of weapons, they now look to give Mayfield as much protection as possible to spread that ball around. Edwards can play both tackles and will certainly be a quality starter week 1. 50. Minnesota Vikings – Chris Lindstrom OG Boston College Cousins got paid a ton of money, so keeping him standing upright is going to be a priority every offseason. 51. Tennessee Titans – Oshane Ximines EDGE Old Dominion Another guy who is difficult to grade, Ximines brings the mystery of the small school star, but the raw talent of a potential breakout star. *TRADE* To PIT: 56th ovr + 134th ovr To NE: 52nd ovr + 175th ovr 52. New England Patriots (from PIT) – Zach Allen DL Boston College Uncharacteritic maybe, but Allen is a perfect fit to fill in for the void left by the departure of Flowers to Detroit. This is a value pick for a guy who would likely have been a first round pick if he stayed in school 1 less season. 53. Philadelphia Eagles (from BAL) – AJ Brown WR Ole Miss They tried to find an answer in Golden Tate but it was too little too late. Brown is a long term answer to provide Wentz with a reliable weapon. Jeffery’s production to money ratio may make him expendable sooner than later, making more sense of this pick. 54. Houston Texans (from SEA) – Jerry TIllery DT Notre Dame Tillery will fill the final opening on that starting DL. 55. Houston Texans – Trayvon Mullen CB Clemson Taking a page out of Packers draft strategy from just 1 year ago, the Texans draft another CB early, leading to the potential of starting 2 rookies at CB this upcoming season. With the quality of their defense up front, it should theoretically make development smoother for the rookie tandem. 56. Pittsburgh Steelers (from NE via CHI) – Germaine Pratt ILB NC State May seem like a reach but after a trade down a few picks earlier, the Steelers get a true linebacker on the roster. Barron is much more of a hybrid like Deone Bucanon, so bringing in Pratt, if anything else, provides and upgrade on early downs. 57. Philadelphia Eagles – Julian Love CB Notre Dame Eagles fans are a little higher on their CB group than pretty much everyone else. Personally, outside of Darby, they don’t have much and who knows how Darby will play after his injury. Douglas doesn’t exactly light the world on fire and Sidney Jones hasn’t looked as great as he did prior to his leg injury at the end of his college career. 58. Dallas Cowboys – Gerald Willis DT Miami Interior defensive line is really their biggest position of need. As of this writing, Berry is NOT signed in Dallas but given the needs of teams around the league, it seems that really only Dallas and Cleveland are in play for him realistically….which definitely means he is signing with neither cause F ME right? 59. Indianapolis Colts – JJ Arcegia-Whiteside WR Stanford Funchess is in a 1 yr, prove it style contract, but even if it does work out, WR is really the weaker point of that offense given their week to week game planning. 60. Los Angeles Chargers – Yodny Cajuste OT West Virginia I have seen Cajuste mocked as early as the late 1st round and as late as the mid 4th round. I think he will go much higher than his basement seems to be just based on the needs of some of the better teams, like the Chargers. 61. Kansas City Chiefs – Amani Oruwariye CB Penn State Oruwariye is probably going to be better than what a 61st overall pick would be projected to be and KC is willing to bank on that potential. *TRADE* To NO: 104th ovr + 127th ovr + 2020 4th rd pick To PHI: 62nd ovr 62. Philadelphia Eagles (from NO) – David Montgomery RB Iowa State Pushing their chips into the middle of the table, the Eagles look to find their true #1 RB and look for it in Montgomery. Actively moving around the draft board to fill the needs they have is probably the right move. The compensation may be off a bit but the Saints acquiring more draft picks may be in their future. 63. Kansas City Chiefs (from LAR) – Connor McGovern OL Penn State After losing Morse, they really opened 2 positions of need on the OL. McGovern is probably more of a guard but may be capable of transitioning to C. 64. New England Patriots – Parris Campbell WR Ohio State His speed and athleticism is the selling factor. Edelman’s age, Cordarelle and Hogan’s departure, and the question marks surrounding the future of Josh Gordon make this pick significantly easier to make. Alexander is like 37 yrs old. Milano can definitely be a pass rushing linebacker and even if he isn't, Edmunds and White are so athletic it will allow them to play big more often. There is plenty of logic for a team to take this draft version of Roquon Smith. White is not a backup in this scenario, Alexander gets bumped to a situational pass rusher which at his age is the best way to get maximum productions out of him. Green Bay invested 2 major FA contracts in EDGE rushers. Prior to FA it was an easy pick but post those signings there isn't a pass rusher need anymore. There is more pressing issues now that they invested in Preston, Zadarius, and then Amos at Safety. Whats silly about taking a LB who is better than both of the them? Also there are 3 LB spots to be filled and Milano can drop to be more of a pass rusher on passing downs which allows them to slide an athletic DE inside. 1. Arizona Cardinals – Kyler Murray QB Oklahoma They pull the trigger on a new era, which positions Josh Rosen to be traded at some point during the weekend. Teams will want to lock down Rosen in a trade likely early on, once Murray goes off the board here. Putting a dynamic player with David Johnson and the mentorship of one of the all time greats in Larry Fitzgerald is an opportunity Kingsbury can't pass on. *TRADE* To SF: 4th ovr + 35th ovr + 2020 3rd rd To OAK: 2nd ovr + 105th ovr + 2020 4th rd 2. Oakland Raiders (from SF) – Nick Bosa EDGE Ohio State The Raiders went from looking hopeless, to turning their team into one of the potential teams to have the best turnarounds in 2019. Swinging for the fences, they bank on the drafts best defensive player, filling an immediate need at pass rusher. Bosa has all the potential in the world. 3. New York Jets – Quinnen Williams DL Alabama Will this lead to Leonard Williams getting traded or will they determine a way to get both of them on the field as much as possible. Jets have done a good job in FA building the defense and continue through the draft. *TRADE* To SF: 5th ovr + 70th ovr To TB: 4th ovr + 177th ovr + 214th ovr 4. Tampa Bay Buccaneers (from SF via OAK) – Rashan Gary DL Michigan Switching to the 3-4 defense puts a few guys at risk of being moved. JPP doesn't really fit a 3-4 OLB at all. Gerald McCoy will be moved to 3-4 DE, Vea goes to NT, leaving Gary to fill the open spot on the DL. His versatility is the major selling point and TB makes an aggressive move to make sure they lock in that spot. Even if they keep JPP, the DL rotation is going to be dynamic and the amount of different looks and groups can make TB a headache for OL coaches. 5. San Francisco 49ers (from TB) – Jonah Williams OL Alabama Dee Ford being brought in on a huge contract opens up the 49ers to look to other positions. Moving Thomas or Armstead inside makes a trade back more comfortable. McGlinchey is solid at OT with Joe Staley but bringing in a versatile OL like WIlliams allows them to sure up at OG and have an insurance policy long term at OT. *TRADE* To ARZ: 96th ovr + 2020 conditional 3rd rd pick (could become 2nd) To NYG: QB Josh Rosen + conditional 2020 late rd pick 6. New York Giants – Montez Sweat EDGE Mississippi State The Giants may not trade for Rosen before this pick, but to avoid the shock of this pick I put it before hand. Sweat blew people away at the Combine and pairing him with last years 3rd rd pick Lorenzo Carter fills a huge need for the Giants and continues to build their front 7 which is one of the better young groups in the league with this selection. Gettleman has virtually conceded that they will be in full on rebuild so a BPA draft is the likely route. 7. Jacksonville Jaguars – Jawaan Taylor OT Florida Foles fills out their need at QB and now they need to make sure he remains protected. Cam Robinson is a more natural RT than a LT and this pick will give them long term solutions at both tackles. *TRADE* To DET: 13th ovr + 48th ovr + 117th ovr To MIA: 8th ovr + 89th ovr 8. Miami Dolphins (from DET) – Dwayne Haskins QB Ohio State Tannehill traded to Tennessee, so the long term solution at QB is needed. They will likely bring in a short term solution at QB the way Cleveland did last year but they will not wait to pick up their franchise QB. Detroit is happy to move down as their FA moves, including Trey Flowers signing, opened them up to be less desperate for specific positions. 9. Buffalo Bills – Devin White ILB LSU Might surprise some people but the top OT's are off the board so Buffalo completes their LB group. Edmunds can be moved to OLB. 10. Denver Broncos – Drew Lock QB Missouri Denver may be looking to trade back but if they stay put, Drew Lock is a good pick for their future and the rumors are that Elway is in love with the guy. *TRADE* To CIN: 17th ovr + 109th ovr + 144th ovr + 172nd ovr To NYG: 11th ovr 11. New York Giants (from CIN) – DK Metcalf WR Ole Miss The Giants have not had a big body at WR in a while. Metcalf blew everyone away at the combine and the Giants leap at the opportunity to get not only a burner but a target with a humungous catch radius which will only help their QB. Trading OBJ will likely prove to be a mistake but creating a more complete WR corps maybe assist in rectifying the move for fans. *TRADE* To GB: 16th ovr + 78th ovr To CAR: 12th ovr 12. Carolina Panthers (from GB) – Josh Allen EDGE Kentucky There is always that one player who drops in the draft as a result of some trade ups. Allen trips out of the Top 10 and Carolina jumps all over him. GB would have been the perfect candidate for a dream pick up here had they not invested their FA in picking up Preston and Zadarius Smith to be their EDGE rushers. 13. Detroit Lions (from MIA) – Greedy Williams CB LSU Trading down and still landing the guy you probably wanted the most is every teams ultimate desire and Detroit pulls that off here. Justin Coleman at NB with Slay and Greedy at CB makes the Lions extremely competitive in the passing game defensively against some solid WR groups in their division specifically. 14. Atlanta Falcons – Ed Oliver DL Houston His size, despite measurables akin to Aaron Donald, cause him to drop and the underachieving Falcons have no problem scooping him up. They really have no gaping holes which makes this draft an interesting one for the Falcons. 15. Washington Redskins – Brian Burns EDGE Florida State The top 3 QBs are off the board so the Skins will look to defense, which has been their MO the last few years. Burns is a better mold for a 3-4 OLB then other players with high grades at EDGE 16. Green Bay Packers (from CAR) – TJ Hockenson TE Iowa A decent trade down for GB opens them up to grab a guy who has been impossible to mock. People have him going as early as 7th ovr and as late as 32nd ovr. Well here he is somewhere in the middle to a team that makes sense. 17. Cincinnati Bengals (from NYG via CLE) – Devin Bush LB Michigan After trading down due to missing out on Top OT's and Devin White, they pick up the guy who has had the Darius Leonard comparison. Moving on from Burfict and continuing to transition to a younger more athletic LB group is essential to keeping pace with teams like Baltimore and Cleveland's overly athletic offenses. 18. Minnesota Vikings – Andre Dillard OT Washington State Widely believed to the be the best pass protector in the draft, this is the ideal piece for Minnesota to insert to protect Cousins who they banked their entire franchise on last year. 19. Tennessee Titans – Clelien Ferrell EDGE Clemson Cameron Wake was signed but is approaching being 1 million years old, so getting a long term solution opposite Landry is the choice. 20. Pittsburgh Steelers – Mack Wilson ILB Alabama Ryan Shazier's injury opened up a giant need. Justin Houston fills the EDGE position opposite Watt, so ILB became their undisputed biggest need. 21. Seattle Seahawks – Byron Murphy CB Washington Easy selection for Seattle. Murphy can go much higher than this. 22. Baltimore Ravens – Cody Ford OL Oklahoma WR's in Baltimore received very little targets in the Lamar Jackson offense. This is a team that will mostly play within the hashes. Ford can play across the entire offensive line and is the long term piece once Yanda hangs up the cleats. Opening holes for Mark Ingram in between the tackles is going to be much easier now. 23. Houston Texans – Noah Fant TE Iowa An interesting pick here but getting Watson weapons is as important as any other move they can make. 24. Oakland Raiders (from CHI) – Garrett Bradbury OG NC State Osemele got traded leaving a hole on their offensive line. Kolton Miller and Trent Brown work the OT's, Bradbury Hudson Jackson inside makes their OL very solid, hopefully creating time to get AB down the field for big plays. 25. Philadelphia Eagles – Deandre Baker CB Georgia They brought back Darby but there really is no true option outside of that at CB. There is depth but not real true starter. Baker changes the entire makeup of the CB group, giving them more flexibility. 26. Indianapolis Colts – Deionte Thompson S Alabama Colts have done a great job of building a young dynamic defense and continue that direction. 27. Oakland Raiders (from DAL) – Josh Jacobs RB Alabama Another difficult guy to mock, the Raiders take him here to gain that 5th year option on the future of their backfield. Jacobs provides a good compliment to what is looking like a dangerous passing game as a 3 down back. 28. Los Angeles Chargers – Christian Wilkins DT Clemson After getting absolutely bullied up front in the playoffs, the interior defensive line immediately became the place that needed to be addressed in the offseason. 29. Kansas City Chiefs – Elgton Jenkins C Mississippi State This could be pass rusher, but making sure Mahomes stays up right is the number 1 concern of this team. Jenkins can play C or either OG. 30. Green Bay Packers (from NO) – Marquise Brown WR Oklahoma They did such a good job addressing their defensive needs in FA that it opened them up to give Rodgers more toys. *TRADE* To LAR: 34th ovr + 130th ovr To IND: 31st ovr 31. Indianapolis Colts (from LAR) – Dexter Lawrence DT Clemson Trading back into the 1st round to get that 5th year option on a stud DL keeps the Colts building that great, young defense. 32. New England Patriots – Irv Smith Jr. TE Alabama Another team with no so many needs and with Gronk about to retire at any second, getting an immediate option is a must. Nobody is better at finding a way to mix in a number of different talents with different skill sets than the Patriots. ROUND 2 33. Arizona Cardinals – AJ Brown WR Ole Miss Kyler Murray immediately a young weapon to put with Kirk and the legend Larry Fitz. The weaponry in Arizona has done a complete 180. 34. Los Angeles Rams (from IND via NYJ) – Nasir Adderley S Delaware Trading down to get an extra pick in what will be a light haul will help the Rams keep pace with the amazing season they are coming off of. Weddle is their current starter but maintaining youth on their defense is essential. 35. San Francisco 49ers (from OAK) – Rock Ya-Sin CB Temple He has the best name in NFL history probably and fills an immediate need. 36. San Francisco 49ers – Hakeem Butler WR Iowa State Big body WR for Jimmy G. They are littered with speed and slot guys at WR and receiving options out of the backfield but don't really have legit red zone threats outside of Kittle. 37. New York Giants – Dalton Risner OT Kansas State This completes their offensive line that was horrendous the last couple of years. A healthy bounce back year for Solder could completely turn this offensive around. Risner and Zietler make the right side of their offensive line fantastic on paper. *TRADE* To JAX: 46th ovr + 2020 4th rd pick To WAS: 38th ovr 38. Washington Redskins (from JAX) – Daniel Jones QB Duke Easy trade up for Washington who missed out on the top 3 QBs in round 1. Keenum starts and Jones gets time to develop. 39. Tampa Bay Buccaneers – Amani Oruwariye CB Penn State Bucs defense strategy is completely changing so expect new youth movements at all 3 levels. This could possibly be a trade down spot. 40. Buffalo Bills – Nkeal Harry WR Arizona State Perhaps the most WR needy team in the league, jump on a great talent that could easily workout his way in to the late 1st round. 41. Denver Broncos – Julian Love CB Notre Dame Continue to get younger at DB after losing Roby to FA. Their pass rush is insane and will only make development easier. 42. Cincinnati Bengals – Greg Little OT Ole Miss Little drops after an interesting couple of months. This was a real consideration for them in round 1 and are happy to land him in the middle of round 2. 43. Detroit Lions – Taylor Rapp S Washington Patricia is a defensive minded coach which leads to continuous building of that side of the ball. They add another piece to their DB group. 44. Green Bay Packers – Chris Lindstrom OG Boston College They have a good group of tackles and now get a starter for their interior o-line. 45. Atlanta Falcons – Yodny Cajuste OT West Virginia Could be a trade down spot much like for Denver but Cajuste has been mocked as high as mid 1st round. Completing their offensive line is an easy decision. 46. Jacksonville Jaguars (from WAS) – Erik McCoy OG Texas A&M This pick allows the Jags to field the one of the most complete o-lines in the league. Norwell will be looking to be more consistent at the other guard. McCoy can also play C if that is the direction they choose to go. 47. Carolina Panthers – Jonathan Abram S Mississippi State A good pick up, day 1 starter. 48. Detroit Lions (from MIA) – JJ Arcegia-Whiteside WR Stanford Using the pick acquired in their 1st round trade down to get a weapon for Stafford after investing much of their off-season in their defense. 49. Cleveland Browns – Trayvon Mullen CB Clemson The most exciting off-season since the Eagles "dream team". Hopefully they yield better results than that team did. They need another starting CB to fill out their defense. Not a whole lot of needs for this team that went 0-16 just two years ago. 50. Minnesota Vikings – Jerry Tillery DT Notre Dame Lost Richardson in FA, get a long term solution for an aging group. 51. Tennessee Titans – Kelvin Harmon WR NC State There is no true #1 option outside of Davis. Harmon is a big body and will help create more opportunities in the passing game that has been fairly weak. 52. Pittsburgh Steelers – Riley Ridley WR Georgia Smith-Schuster and Washington will be a good 1-2 punch, but this league requires teams to have 3 receivers that can mix and match at any time. Ridley jumps in and keeps the offense moving forward. 53. Philadelphia Eagles (from BAL) – David Montgomery RB Iowa State After missing out on the top RBs in FA, the Eagles go for a RB here to complete their backfield. 54. Houston Texans (from SEA) – Zach Allen DE Boston College Reader can move back to NT with Allen being the perfect fit for a 3-4 DE to put out with Mercilus, Clowney, and Watt. QB's watch out. *TRADE* To HOU: 68th ovr + 106th ovr To NYJ: 55th ovr + 162nd ovr 55. New York Jets (from HOU) – Oshane Ximines EDGE Old Dominion After missing Anthony Barr, they draft a guy they can deploy as a pass rusher. This trade could be for the 54th pick if Leonard Williams is being used as the bait. 56. New England Patriots (from CHI) – Will Grier QB West Virginia Another second rd QB that the Patriots can mold and form to be either the replacement for Brady or Jimmy G, Mallett, Brissett type trade bait. 57. Philadelphia Eagles – Parris Campbell WR Ohio State Dynamic speed at WR looks to fill the spot they hoped Golden Tate would but didn't have the time to do so. 58. Dallas Cowboys – Jeffery Simmons DT Mississippi State They take a flyer on a stud who got tragically innjured at the worst time. They did this with Jaylon Smith and it more than paid off. Jags did it with Jack and it worked out great so far. 59. Indianapolis Colts – Darrell Henderson RB Memphis How scary are the Colts on both sides of the football? Can play power and speed ball on both sides. 60. Los Angeles Chargers – Ryan Finley QB NC State Taking a page out of the Patriots book, drafting a potential heir apparent, worst case scenario some trade bait down the line. 61. Kansas City Chiefs – Jachai Polite EDGE Florida Polite plummets down the board after a terrible impression made at the Combine. His talent is Top 20, so getting him at 61 after dropping both starting EDGE players from last year is an easy decision. 62. New Orleans Saints – Connor McGovern OG Penn State Keeping the offensive line solid is key for Payton and keeping Brees upright. Peat has been up and down his whole career. 63. Kansas City Chiefs (from LAR) – Chauncey Gardner-Johnson S Florida Berry got cut, Honey Badger comes in. Gardner-Johnson is a solid pick up, who can play Deep 3rd when Tyrann moves down to play NB and is a great compliment DB on all 3 downs. 64. New England Patriots – Jaylon Ferguson EDGE Louisiana Tech He can be slotted right into that spot opened by Trey Flowers leaving for Detroit. I just think that their focus will be continuing to build with the draft. I think they will sign people in free agency but I think they will just be focusing on getting strong role players cause they will be giving big time extensions to Peppers, Ward, Garrett, Chubb, and Mayfield within the next 3 to 4 years. There is also guys like Njoku, Avery, Randall, etc. who would be nice to keep around long term also. I know they can invest in someone short term but why not give a younger talent playing time instead. Cutting Malik Jackson and Marcell Dareus opens up almost 30mill in cap space. The Bills interior was not good. Star was incredibly average, took double teams cause the rest of the team was whack. Suh brings hard nosed attitude to that defense and will open up opportunities for their edge rushers. Outside of White, who plays CB in Buffalo? There is no #2. FREE AGENCY LeVeon Bell signs 5yr $85mill w/ Houston Texans Lamarcus Joyner signs 5yr $70mill w/ Indianapolis Colts Brandon Graham signs 4yr $65mill w/ Oakland Raiders Tyrann Mathieu signs 3yr $28mill w/ New York Giants Ndamakung Suh signs 2yr $25mill w/ Buffalo Bills Sheldon Richardson signs 4yr $40mill w/ Oakland Raiders Nick Foles signs 3yr $60mill w/ Miami Dolphins Tyrod Taylor signs 2yr $30mill w/ Washington Redskins Ryan Tannehill signs 1yr $12mill w/ Tampa Bay Buccaneers Mark Ingram signs 3yr $20mill w/ Kansas City Chiefs Earl Thomas signs 3yr $30mill w/ Dallas Cowboys Jay Ajayi signs 2yr $14mill w/ New York Jets Golden Tate signs 4yr $38mill w/ San Francisco 49ers Trey Flowers signs 5yr $65mill w/ Detroit Lions Demariyus Thomas signs 2yr $22mill w/ New York Jets ROUND 1 1. Arizona Cardinals – Nick Bosa EDGE Ohio State Cardinals need just about everything, so taking the BPA is an easy decision. Picking anyone else at 1 is just going to be an instance of overthinking. 2. San Francisco 49ers – Josh Allen EDGE Kentucky Solomon Thomas needs to step up but has played better inside than on the EDGE. Armstead, Buckner, Thomas, and then Allen would be a pretty interesting grouping on passing downs. Allen can play OLB on 1st down. 3. New York Jets – Quinnen Williams DT Alabama Gregg Williams is the new defensive coordinator and putting Quinnen and Leonard together in the interior line is a headache offensive coordinators are going have for a while. 4. Oakland Raiders – Rashan Gary EDGE Michigan Gary is climbing up draft boards and the Raiders have always loved the Combine hero. TRADE To Tampa Bay: 7th ovr, 103rd ovr, 2020 3rd rd pick To Jacksonville: 5th ovr 5. Jacksonville Jaguars (from TB) – Dwayne Haskins QB Ohio State Not confident that he will make it past the Giants, the Jags make a trade and draft their new franchise QB. Bortles may start the year but he certainly will not finish it. 6. New York Giants – Jonah Williams OT Alabama They stay tight and take the best OL on the board. Their o-line has been a huge weakness and they solidify the right side of their line here. Williams may be the new Pugh on this line, playing mostly RG but bumping out to tackle need be. 7. Tampa Bay Buccaneers – Ed Oliver DL Houston This may look controversial but realize that Tampa is moving to the 3-4 defense. Vea is going to be the NT bumping McCoy to the 3-4 DE. Oliver’s comparison to Aaron Donald make him look like the can’t miss pick of the draft. Those 3 being the defensive line going into Week 1 with is one of dreams. TRADE To Detroit: 10th ovr, 72nd ovr To Denver: 8th ovr, 136th ovr 8. Denver Broncos (from DET) – Drew Lock QB Missouri They move up 2 spots to just ensure that no one else leap frogs them at any point in this draft to steal their guy. Much like Bortles, Keenum will likely start the season but he will not finish it. 9. Buffalo Bills – Greedy Williams CB LSU They hit big time with White out of LSU and now taking another Tiger will solidify their DB group to become one of the better groups in football. TRADE To Detroit: 11th ovr, 139th ovr To Cincinnati: 10th ovr, 171st ovr 10. Cincinnati Bengals (from DET via DEN) – Devin White ILB LSU A bidding war begins to grab White and the Bengals can’t allow anyone to take the guy they have had targeted since Day 1 of the offseason, if not sooner. 11. Detroit Lions (from CIN) – Deandre Baker CB Georgia They gave themselves some draft capital by moving back twice, but only 3 spots. Fill a need and get a Day 1 starter. 12. Green Bay Packers – Montez Sweat EDGE Mississippi State Sweat fits more of the 3-4 OLB mold then Ferrell does and this fills an immediate need for the Packers who have struggled with pass rushers. TRADE To Miami: 16th ovr, 109th ovr To Carolina: 13th ovr 13. Carolina Panthers (from MIA) – Clelien Ferrell EDGE Clemson Peppers retires. Addison is average. This defense needs guys who can disruptive on the edge to help out that solid LB group and a budding DB group on the backend. 14. Atlanta Falcons – Jeffery Simmons DT Mississippi State Its difficult to remember a time where the Falcons had a solid and consistent defensive line year-to-year. Past off field issues are red flags to say the least but he has done all the right things lately. 15. Washington Redskins – DK Metcalf WR Ole Miss Oh boy are the Skins in quite the conundrum. They will certainly flirt with the idea of taking a QB but I still believe that taking one is a reach at this point. They go with the high ceiling and hope this isn’t Doctson 2.0 16. Miami Dolphins (from CAR) – Cody Ford OG Oklahoma He, like Jonah Williams, will probably make most of his money at a guard but his versatility to play tackle will give Miami some flexibility. 17. Cleveland Browns – Christian Wilkins DT Clemson Personally, I like this pick to be Marquise Brown and put another weapon with Baker Mayfield, a familiar one at that but everyone in hear screams about going DT so, here ya go. 18. Minnesota Vikings – Jawaan Taylor OT Florida They need a legit franchise LT so they grab one right here and hope he turns out better than Matt Kalil. 19. Tennessee Titans – Jachai Polite EDGE Florida Back to back Gators. Morgan likely a cap casuality. Landry and Polite will set the tone for new era of EDGE rushers in Tennessee. 20. 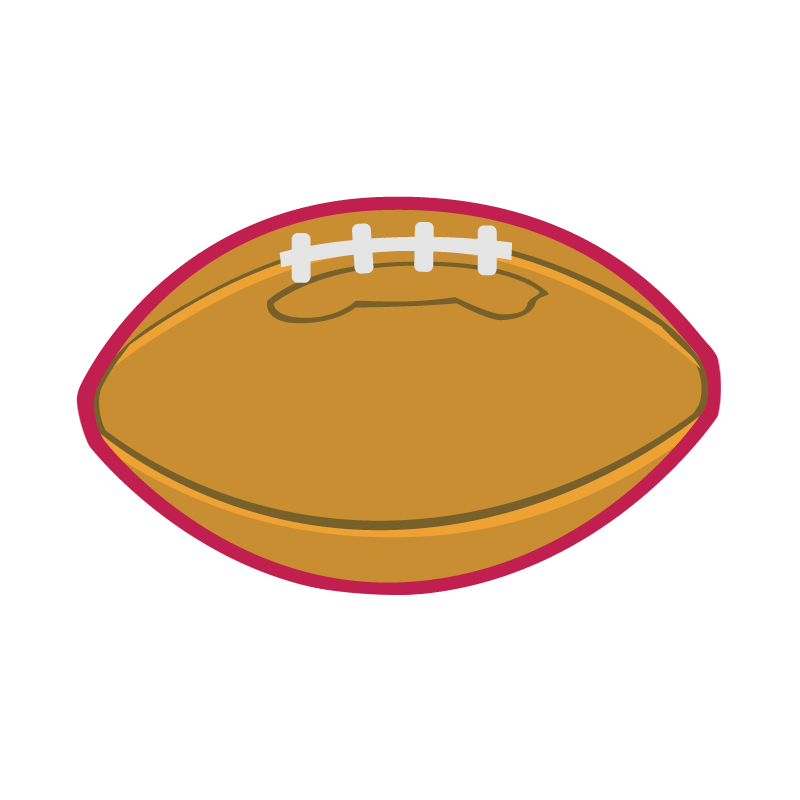 Pittsbugh Steelers – Mack Wilson ILB Alabama Ryan Shazier will never play again so that is a hole that must be filled for this defense. They could go WR depending on what happens with Brown but as of now, its ILB. 21. Seattle Seahawks – Greg Little OT Ole Miss Their offensive line was not nearly as bad as people projected but they still have their weaknesses and this can be the final piece to that puzzle. 22. Baltimore Ravens – Josh Jacobs RB Alabama May be a surprise but WR is not a big need in Baltimore. Jackson does not use them. They will play offense inside the hashes with strong TE’s and the RPO. Jacobs gives Jackson a compliment moving forward and allows the Ravens to let a couple of those expiring contracts leave at the RB position. 23. Houston Texans – Byron Murphy CB Washington The Texans have most of their money invested in their defensive line and pass rushers, which makes grabbing young players who can start Day 1 on the backend is essential in the next couple of years for Houston. Murphy could very well go Top 15. 24. Oakland Raiders (from CHI) – Devin Bush ILB Michigan They grabbed their defensive lineman and now move to the next level and grab their new star linebacker. Bush will be this years Darius Leonard, mark my words. 25. Philadelphia Eagles – Oshane Ximines EDGE Old Dominion Brandon Graham is gone. Michael Bennett will be gone. They need a pass rusher opposite Derek Barnett and they grab one right away. 26. Indianapolis Colts – Trayvon Mullen CB Clemson Their defense was a happy surprise. They continue to add to that group in this draft and will likely do the same in FA. TRADE To Oakland: 37th ovr, 126th ovr, 198th ovr, 2020 3rd rd pick To NY Giants: 27th ovr 27. New York Giants (from OAK via DAL) – Kyler Murray QB Oklahoma The Giants will not wait any longer and trade up into the 1st round and grab their new franchise QB. Size and commitment to football causes him to drop but the prospect of grabbing him with a 5th year option is too much for the Giants to pass up, pairing him with Barkley and OBJ. 28. Los Angeles Chargers – Dexter Lawrence DT Clemson They got bullied, flat out bullied by the Patriots. They need a big time interior presence on their defensive line. When you can double team both edge rushers and not pay the price for it, there is a problem. Lawrence should cause chaos in the interior. 29. Kansas City Chiefs – Nasir Adderley DB Delaware They will jump back and forth with a few names at the safety position but eventually settle on Adderley. 30. Green Bay Packers (from NO) – Noah Fant TE Iowa What in the world is happening with Jimmy Graham??? I think he is gone and they fill his spot with Fant. 31. Los Angeles Rams – Brian Burns EDGE Florida State The Rams need some sort of EDGE rush presence. They traded for Fowler but resigning him may be difficult depending on what other FA moves they make in house. 32. New England Patriots – Daniel Jones QB Duke Only the Patriots can draft a guy who won’t see the field for atleast 2 years but it wouldn’t be the first time they grabbed a QB early in the draft and then flipped him for a draft pick later. ROUND 2 33. Arizona Cardinals – Dre-Mont Jones DT Ohio State They continue to build up their defensive line with an interior presense. The hope that Jones and Bosa can bring some chemistry to the field right out of the gate. 34. Indianapolis Colts (from NYJ) – N’Keal Harry WR Arizona State A big body compliment for the smaller, more elusive TY Hilton. Keep building around the great pieces you have. 35. Oakland Raiders – Marquise Brown WR Oklahoma They need weapons on offense. They lacked so much in terms of playmakers. 36. San Francisco 49ers – Tre Lamar LB Clemson Josh Allen might be an OLB on early downs but they 49ers need a 3 down linebacker to compliment sophomore Fred Warner who had an up and down season. 37. Oakland Raiders (from NYG) – TJ Hockenson TE Iowa Another solid weapon to add to the offense. Maintaining a balanced draft and balanced FA strategy is important for a Raiders team that lacked not only playmaking but leadership on the field. TRADE To Jacksonville: WR Antonio Brown To Pittsburgh: 38th ovr + 2020 conditional pick 38. Pittsburgh Steelers (from JAX) – Zach Allen EDGE Boston College TJ Watt has been a monster but Bud Dupree just can’t seem to get anything consistent going. Being able to dump him in favour of a guy who could very well be a Top 25, Top 20 pick is can’t miss. Losing Brown and Bell in the same off-season is painful but it is something the front office should take a hard look at, seeing their 2 best players did not want to be there. 39. Tampa Bay Buccaneers – Deionte Thompson S Alabama They struggle in pass coverage, so adding a DB who can start Day 1 and comes in with a winning attitude is a good move for the Bucs, who go into 2019 unaware of exactly what their defensive identity is. 40. Buffalo Bills – Yodney Cajuste OT West Virginia Josh Allen’s mobility really bailed him out more times than what was necessary. Dion Dawkins may be a better RT but even if he stays at LT, Cajuste can slide to RT. 41. Denver Broncos – Julian Love CB Notre Dame They showed how much of an impact Talib made on their defense when they found themselves incapable of replacing him with any of the guys they had on the roster. 42. Cincinnati Bengals – Andre Dillard OT Washington State Fairly straight forward. They hit on LB in round 1 and they know they cannot neglect their protection. 43. Detroit Lions – Jaylon Ferguson EDGE Louisiana Tech They missed on Rashan Gary, who would have been perfect. But they grab a pass rusher who Patricia can mold into a true weapon and in the “Patriot Way” they will have an elite level defensive line rotation. 44. Green Bay Packers – Taylor Rapp S Washington With no ILB’s who can warrant being picked right now, they grab some backend for their defense after drafting CB’s extremely well the past 2 seasons. 45. Atlanta Falcons – Dalton Risner OT Kansas St. Looking at this draft as a way to instantly improve themselves in the trenches on both sides of the football. 46. Washington Redskins – Will Grier QB West Virginia Alex Smith is done most likely. They will flirt with taking a QB in Round 1 but decide against it. They can’t pass on Grier who they were likely considering at 15. 47. Carolina Panthers – Chauncey Gardner-Johnson S Florida Panther fans probably hate not getting help on offense but the weapons they have are blending in nicely together. Maintaining some dominance on defense is essential. 48. Miami Dolphins – Riley Ridley WR Georgia He is one of the more difficult WR’s to grade but his workouts and enough time spent watching his film will make this an easy pick for the Fins. Parker likely is cut or traded. Can they count on Albert Wilson to continue his play prior to injury? 49. Cleveland Browns – David Edwards OT Wisconsin Their offensive line is fairly underrated on the interior but they need to solidy their OTs. 50. Minnesota Vikings – Elgton Jenkins OL Mississippi State They paid Kirk Cousins, so you need to protect him. Build some strength and versatility on that offensive line. He plays any of the interior roles. 51. Tennessee Titans – AJ Brown WR Ole Miss There is always some reprehensive thoughts behind drafting Ole Miss players the past decade. But in the middle of the 2nd round, this is the perfect place to take a risk, and potentially land a legitimate weapon opposite Corey Davis. 52. Pittsburgh Steelers – Jonathan Abram S Mississippi State Continue to build a true Steeler defense and regain the identity that has seemingly been lost. TRADE To Philadelphia: RB Leonard Fournette + 2020 5th rd pick To Jacksonville: 53rd ovr + 2020 4th rd pick 53. Jacksonville Jaguars (from PHI via BAL) – Chris Lindstrom OG Boston College New QB and new star WR but you have to keep them standing up right. Fournette being moved is giant but resigning Yeldon and then drafting a RB from this class in a later round will have to fill the void. The Eagles get a RB1 in the locker room on a rookie contract. 54. Houston Texans (from SEA) – Irv Smith Jr. TE Alabama This is the guy they are hoping turns into what they wanted out of Fiedorwicsz 55. Houston Texans – Michael Dieter OG Wisconsin Continue to find support for Watson and allow him time to find some of those weapons. 56. New England Patriots (from CHI) – Caleb Wilson TE UCLA Gronk is on retirement watch and is likely done. Must get a replacement in the locker room for him and Wilson is a stud. 57. Philadelphia Eagles – Amani Oruwariye CB Penn State The Eagles are going to need to improve that secondary with it aging in all the wrong places and underachieving in the others. 58. Dallas Cowboys – Gerald Willis DT Miami They are not going to lose Lawrence and they got Taco on the other side. They may look at LB but there may not be one available here worth this early of a pick. 59. Indianapolis Colts – TeVon Coney LB Notre Dame A bit of a reach here but adding for skill to that defense is an easy decision knowing the success they had with early level draft picks last year. 60. Los Angeles Chargers – Ryan Finley QB NC State They drop in a QB to groom under Philip Rivers. He is a very raw talent but not having to play right away and not having too many holes on their team, this is a good time to pull the trigger on this. 61. Kansas City Chiefs – Martez Ivey OT Florida They will look to continue to build around Mahomes. Though he will definitely not repeat what he did this past year, keeping him up right and allowing him to further develop as a passer will only prevent the “sophomore slump” so to speak going into his 2nd year as a starters. 62. New Orleans Saints – Damien Harris RB Alabama They lose Mark Ingram to FA, 220lbs is a good compliment to Kamara. RB are dropping like stones in this draft but there will likely be a run of them in the 3rd round if this is how the draft shakes out for the position. 63. Kansas City Chiefs (from LAR) – Kelvin Harmon WR NC State Yes, weapons. Weapons, weapons, and more weapons. Watkins is playing on a huge contract so if Harmon gels well in the offense, it makes it easier to part ways with Watkins if the production does not increase (less than 600 yards in last 3 seasons). 64. New England Patriots – Hakeem Butler WR Iowa State The Patriots usually do not have big, tall WR’s. Josh Gordon was that, but he is more than likely done, barring the commissioner giving him a 45th chance. At 6’6, he is towering over basically everyone on that Patriot offense and is an immediate red zone threat. Star was solid but not great at all. If they can get a better player for less than his contract, they will do it. Now not saying Star gets cut this year but this move allows them to dump a big contract of a guy who will be on the wrong side of 30 next off-season.